THE LONG-AWAITED signing of a new collective bargaining agreement should lead to a spate of big-name re-signings but will also almost certainly ensure this year's player exchange period is one of the most explosive in recent years. A host of out-of-contract players have delayed re-signing this year, preferring not to commit until the conclusion of the AFL and AFLPA's CBA talks – negotiations that, at times, over the past year seemed as interminable as a Big Bang Theory marathon. Adelaide's Mitch McGovern and Jake Lever, Gold Coast co-captain Steven May, Bombers Joe Daniher, David Zaharakis and Darcy Parish, and emerging Tiger Daniel Rioli have all been stuck in this holding pattern. Tuesday's announcement that the salary cap will rise from 2016's ceiling of $10.37 million to $12.45 million this year – and by a further 1.2 per cent in 2018, 1.3 per cent in 2019 and two per cent each year from 2020-22 – means clubs' negotiations with uncontracted players can finally proceed on firm footing and, as such, a raft of re-signings is expected soon. For much of the CBA negotiations, clubs were told by the AFL to operate on the basis total player payments (TPP) would increase by 10 per cent in 2017. It did not become apparent until earlier this year that a 20 per cent increase was likely – AFL.com.au broke the news in March – so clubs are now armed with $1 million more than they initially budgeted for. For a club like Sydney, which is widely considered to have one of the competition's tightest salary caps, this additional cap space could prove the buffer that allows it to re-sign both restricted free agent Sam Reid and emerging defender Zak Jones. Similarly, Greater Western Sydney now has more wiggle room as it tries to sway Josh Kelly to turn his back on feverish interest in his home state, Victoria. The Giants primarily traded youngsters Will Hoskin-Elliott, Jarrod Pickett and Paul Ahern last October to create salary cap space, based on the expectation of a 10 per cent TPP increase in 2017. 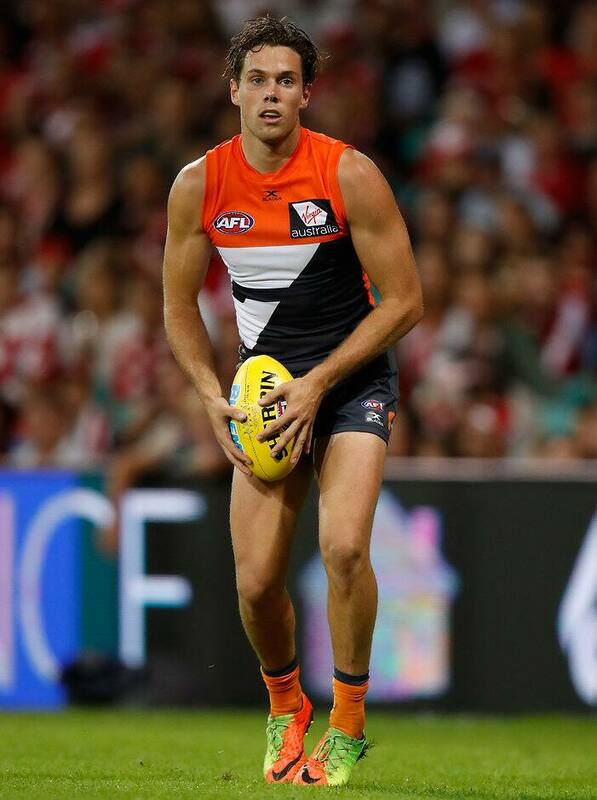 GWS could now, for example, offer Kelly $1.6 million over the next two seasons, knowing that an $800,000 wage in 2018 is equivalent to $658,000 in 2016, and would take up just 6.35 per cent of its salary cap. That's still a far cry from the $10 million North is understood to be offering Kelly over the next nine years, but it would make the 22-year-old one of the Giants' highest-paid players and, coupled with the expansion club's blindingly bright on-field prospects, could convince him to stay. Of course, the salary cap hike will also swell the considerable war chest North has already built, while Kelly's other identified suitors, St Kilda and Carlton, are also expected to have vast chasms of cap space to play with in October's trade period. There's no shortage of clubs circling Reid and Jones either, and both could attract offers that Sydney will struggle to match. Like the Giants with Kelly, the Swans will be hoping the Victorian duo want to remain part of their strong club culture. Once this year's free agency and trade periods open, the one certainty is clubs will table offers Don Corleone could only dream of making. When this happens, just remember from next year $600,000 will be the new $500,000, $900,000 the new $750,000 and $1.2 million the new $1 million.